The 15-brewery strong Shenandoah Beerwerks Trail launched a Passport program on December 14, 2017. 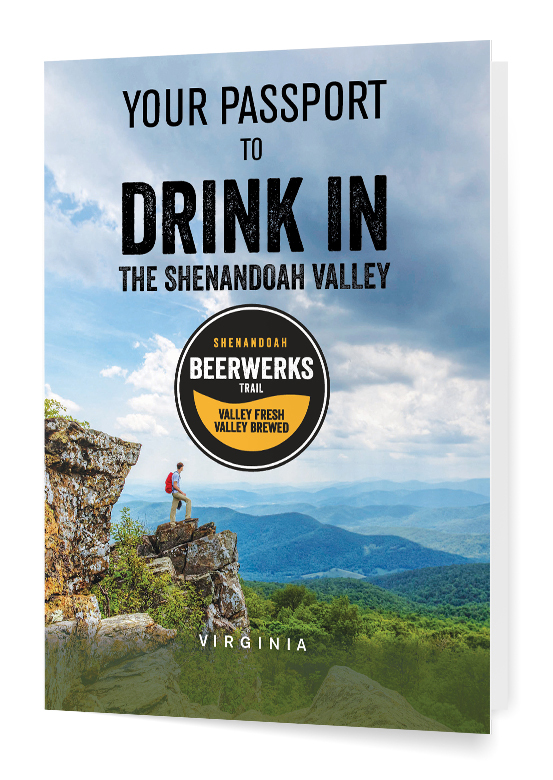 Pick up your free Shenandoah Beerwerks Trail Passport at one of the 15 breweries, including our local breweries - Devils Backbone Outpost Tap Room & Kitchen and Great Valley Farm Brewery - or inside of our Visitor Center at 106 E. Washington Street in downtown Lexington. Request a passport stamp at each brewery you visit. Collect at least six brewery stamps. * Must be 21 or older to participate. Only one t-shirt per person. Valid while supplies last. Please drink responsibly.